We finished our study of the book of 3 Nephi by studying 3 Nephi 27-30 today. Before getting to our Tower of Faith exercise as a class, we first finished off our Spiritual Snack Sack we have worked on over the last month. Once each student finished, I asked them to share in order (from 3 Nephi 27 through 30) what they had discovered and then how they had summarized that important concept on their spiritual “protein” drawing. Just as we need physical nourishment for our bodies, so, too, do we need constant spiritual nourishment. 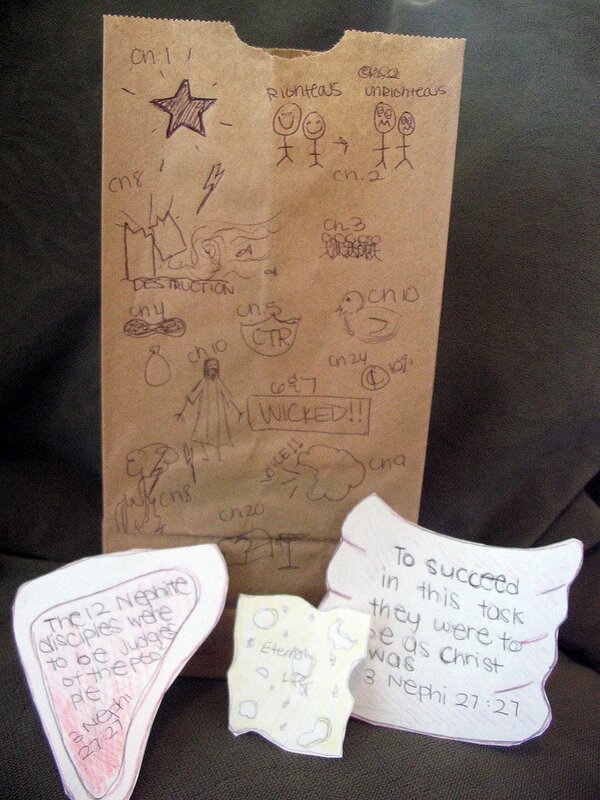 That has been the purpose of these Spiritual Snack/Feast Sacks we’ve worked on periodically throughout our 3 Nephi study. Then came our Tower of Faith exercise. I brought out legos and told them just as King Benjamin had built a tower to share the good news of the gospel, they now could also. They were to think about what had been discussed in class today and what they had especially learned during their private research time. 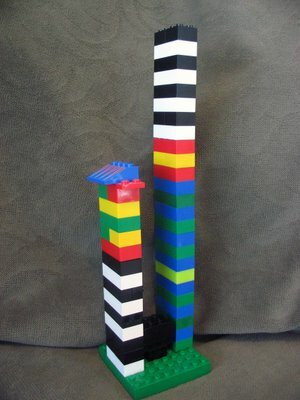 When the lego table came around to them, they were to take several pieces of lego and build a portion of King Benjamin’s tower. While doing so, they were to share their feelings about the gospel and how the “good news” matters to them. King Benjamin wanted more than anything for his people to understand the important truths of the gospel. That is how I feel with these students. And what better way than to let them build their own spiritual, symbolic class tower – all the while sharing their personal testimonies with each others. It helped conclude our study of the book of 3 Nephi in a beautifully, cohesive way.